Our western medical establishment does not always accept alternative therapies. In the west, we put Traditional Chinese Medicine, Chiropractic, Bach Flower Remedies, Homeopathy and other healing techniques into the fringe category, considered non-traditional with varying degrees of acceptance by veterinarians. This lecture will explore those things we lump together as alternative, and review some local practitioners that have training in a variety of techniques. Our pets, like us, can suffer from stress, anxiety and trauma. Unfortunately, just like with people, these experiences can be debilitating. Whether it is from separation, being attacked, visits to the veterinarian or groomer, loud noises, loss of a companion, or shock and physical injury, there is nothing more heartbreaking then seeing an emotionally distraught pet and feeling helpless to relieve their anguish. With Bach Rescue Remedy®, you no longer need to feel helpless. The “Woof-Meow” show is on every Sunday at 8:30PM on WVOM, 103.9FM, the Voice of Maine. Hosted by Don Hanson of Green Acres Kennel Shop, the show focuses on educating dog and cat guardians about their dogs and cats. According to the American Veterinary Medical Association (AVMA) periodontal disease is the most commonly diagnosed problem in dogs and cats, and while 80% of people brush their own teeth every day, most do not do the same for their pets. Periodontal disease is a disease of the gums; it can lead to infections of the mouth. Left unchecked, the bacteria causing these infections can spread through the bloodstream and cause life-threatening conditions. Infections from periodontal disease have been linked to diabetes, heart attacks, strokes, kidney disease and other life threatening disorders as well as tooth loss. The AVMA estimates that by age two, 80 percent of dogs and 70 percent of cats have some form of periodontal disease. If you and your dog spend a lot of times outdoors in areas near hunters, make sure you dress the part. An orange coat or jacket for you and an orange vest or bandana for your dog will help make you more visible. 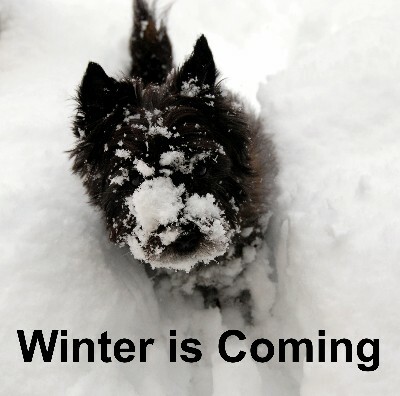 Once the temperature drops below 20 degrees it’s time to bring your pet indoors. When they are out, make sure they are not exposed to the cold for extended periods of time. Be aware that the wind chill effects your pet just like it affects you. An annual “well-pet” exam, by your pets veterinarian, is one of the best investments you can make in your furry friend. However; a growing number of veterinarians and pet owners are rethinking the wisdom of annual vaccinations. There is increasing evidence that annual vaccinations may be unnecessary, and may in fact be harmful, especially if your pet is not in perfect health. Spaying and neutering is not only important from the perspective of pet overpopulation, but these procedures also have major health advantages for dogs and cats. Unlike humans, our pets do not go through life changes where their hormone levels decline and because of this they suffer from an increased risk in reproductive cancers as they age. TropiClean's line of fresh breath products are one way you can keep your pet’s breath fresh and fight periodontal disease without brushing. 93% of users of the Fresh Breath line have reported cleaner teeth in less than two weeks and 86% have noticed better breath in less than one week. As summer approaches, not only do the temperatures rise, but we also tend to spend more time outside enjoying the beautiful weather. With the warm weather come some potential dangers and several things that need to be considered if we are to keep our pets safe and healthy. With a few simple precautions, summer can be a time of great fun for both you and your pets. So simply, take the time to plan ahead and have a great summer! 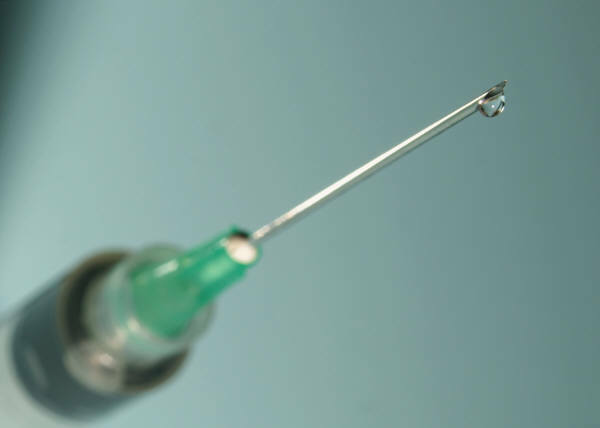 Vaccinations – What is one to do? The subject of vaccinations for our pets is complicated by the fact that there is no universally accepted recommendation for every pet. Pet parents, veterinarians, and others in the pet care industry are all trying to do the right things, but the fact is vaccinations are complicated. Green Acres Kennel Shop recommends that all pet parents have a discussion with their pet's veterinarian about vaccines on an annual basis at their pet's annual wellness exam. New vaccines are being developed, old ones are being withdrawn from the market, and researchers are learning more about vaccines and immunity (the body's defense system) on a regular basis. Canine cough or kennel cough is actually a lay term for Canine Infectious Respiratory Disease Complex (CIRDC). There are many bacteria and viruses which can cause this illness. The most prevalent of the bacteria that cause this illness is Bordetella bronchiseptica. This illness involves an inflammation of a dog’s trachea and upper bronchii and is similar to bronchitis in a human. The passage of air over the inflamed tissues can be very irritating which causes the dog to cough. If you find brushing your pet’s teeth a challenge you should consider using Wysong DentaTreat™ as an alternative to brushing.